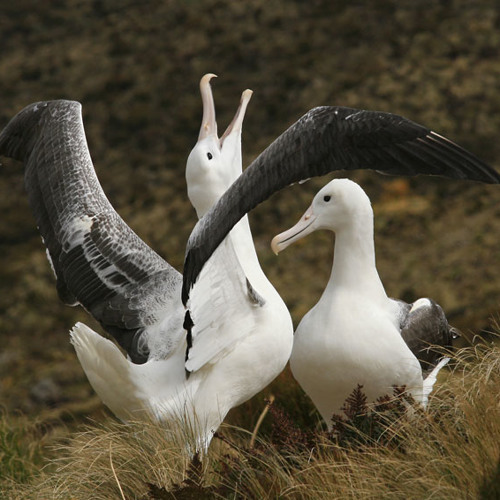 Group of immature Southern Royal Albatrosses (Diomedea e. epomophora) displaying on the grassy slopes of Campbell Island, New Zealand, Nov. 2011. Background noise: heavy wind and keen photographers Gear: Telinga stereo Dat microphone to SD722. One bird flying over the slope three times (you can hear the 'swoosh' created by its wings) is greeted by two perched individuals.